Walking down my favorite main Street, a car pulled into an angled parking slot and a woman got out and nearly sprinted in the opposite direction. She was no kid, and her long skirt and ball cap gave her a Bohemian presence. But in a flash, she turned into a store and was gone. I sauntered along in that general direction and suddenly she exited the store and was almost in my face. I consider such coincidental encounters a signal from above, so I immediately asked a favor of her and went into my spiel, always maintaining eye contact. Before I could finish, she stuck out her hand for a shake and said, “Of course I’ll participate”. Yeessss!! Pamela was raised in the area and attended the local Cardinal Mooney High School, which she called Cardinal Looney. She pointed al the adjacent store and lamented the sign, “Going out of business after 78 years”. It is a hardware store that had been in one family for that time. And it has character. Go, Home Depot! Go, Lowe’s! Goodbye Mom & Pop store. The portrait shots were fun; Pamela had a very expressive face. Suddenly she turned and nearly ran. I guessed that the shoot was over as quickly as it had started. She called over her shoulder, “check the hat in your pictures”. Now, you check it. 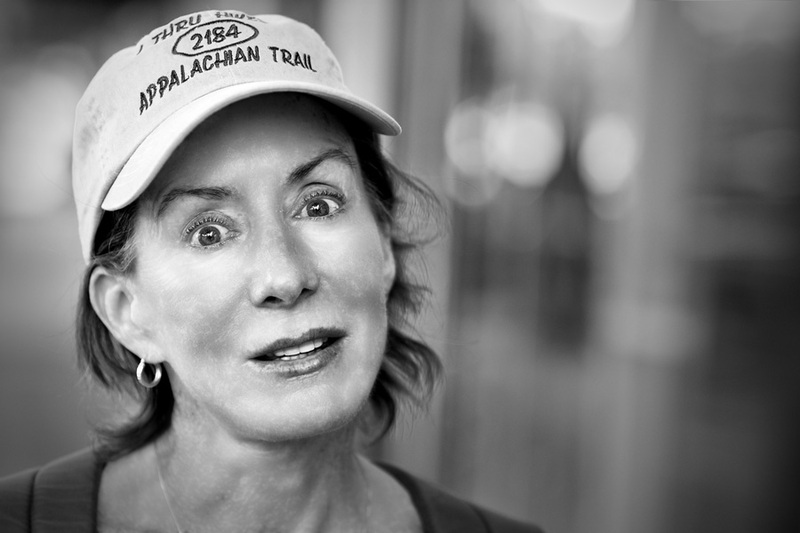 Apparently she has hiked the entire Appalachian Trail.